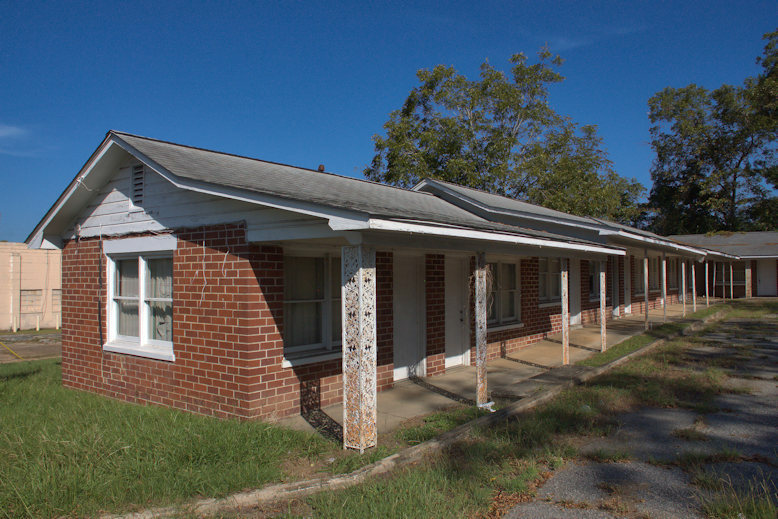 This is one of a few survivors of numerous motels located in and near Jesup on US 301, mostly from the 1940s-1960s. I believe it was last used as apartments. The two story building was a lounge and coffee shop (the upstairs was an office and/or residence). 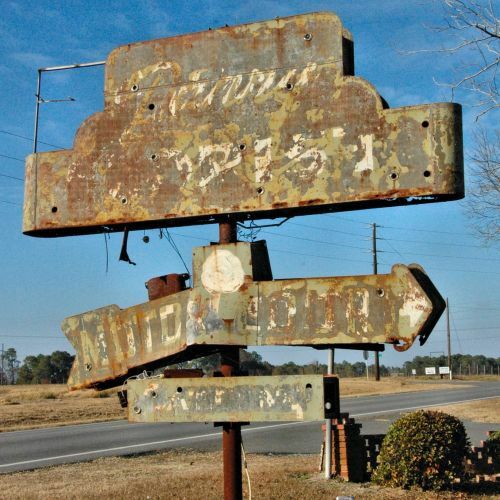 Carol C. Harper writes: In its heyday, when 301 was a main thoroughfare, this was “Camellia Courts”, a popular motel owned and operated by Curtis and Mabel Harper of Jesup. The Harpers were my husband’s uncle and aunt. 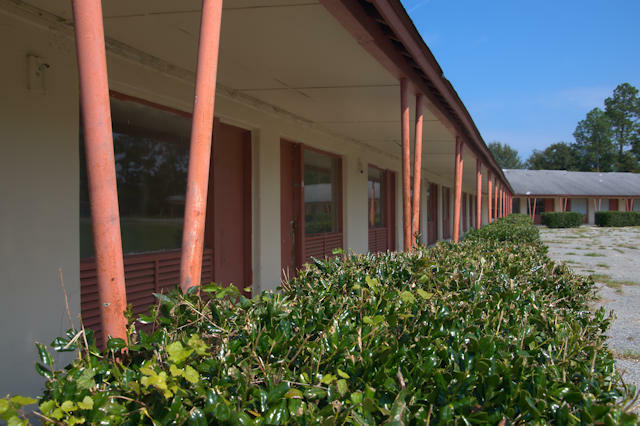 The motel offered a restaurant, swimming pool, and beautiful camellias cultivated by Mabel and shared with guests. A 1949 postcard from my collection also lists R. L. Harper as an owner of the property at the time. It was later known as the Mary Ann Motel. 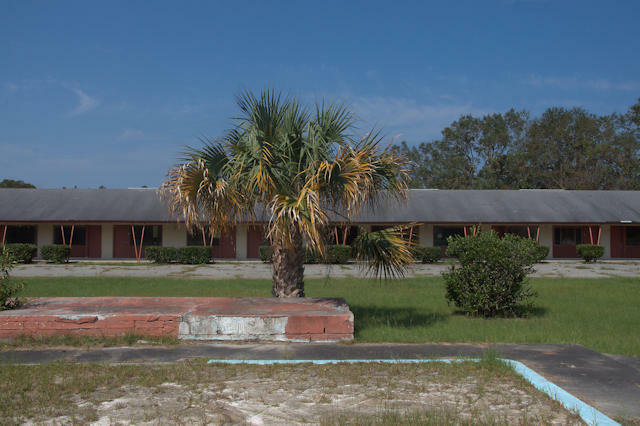 Located five miles south of Jesup on US 301, the Eden Roc was a motel and restaurant owned and operated by Bill and Lila O’Leary. Thanks to Sandra Crawn for the identification; she notes that it was “a landmark indeed”. 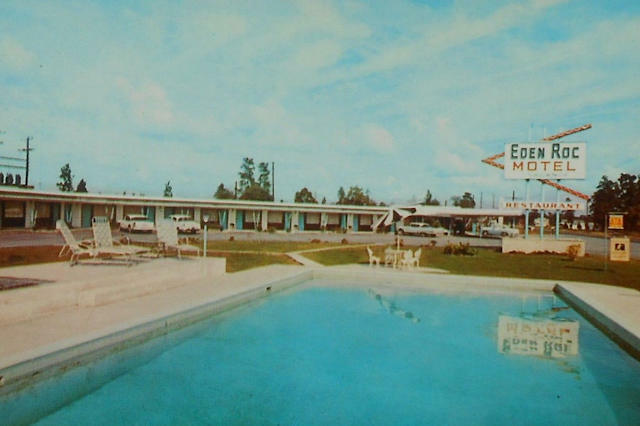 The swimming pool (the outline of which is visible in the first photograph) as seen on a postcard from 1958, the year the motel was built. Many such properties were located on US 301 near Jesup when it was a major north-south artery to Florida. Most thrived until the late 1960s when the construction of I-95 made them obsolete. The original signage was larger and had a horizontal orientation. This one was probably added toward the later years of its operation. 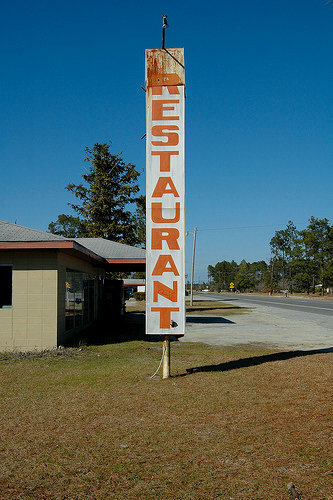 This sign was located on US 41 near ABAC. 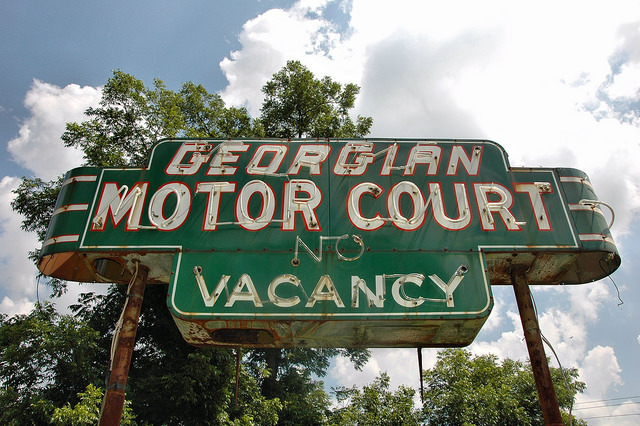 I’m not sure if it’s still standing, but it was erected in the late 1940s or early 1950s for the Danny Ross Motor Court. Jason Salter shared this history on 15 June 2010: This was built and owned by the Shearers. It was built in 1940. The owners lived in it for a time. The motel was opened in 1942. 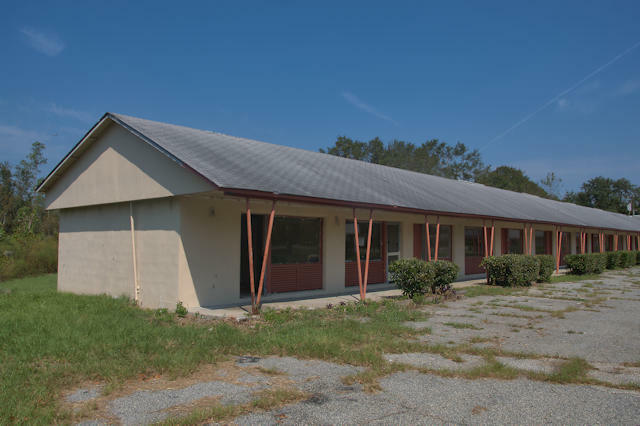 In the 50′s an office was built off to the side where it currently sits now. Another building was added too make larger rooms in 1950. In 1954 a house was built and the family moved into the house from the motel. In 1970 the land was sold to William and Inez Johnson. 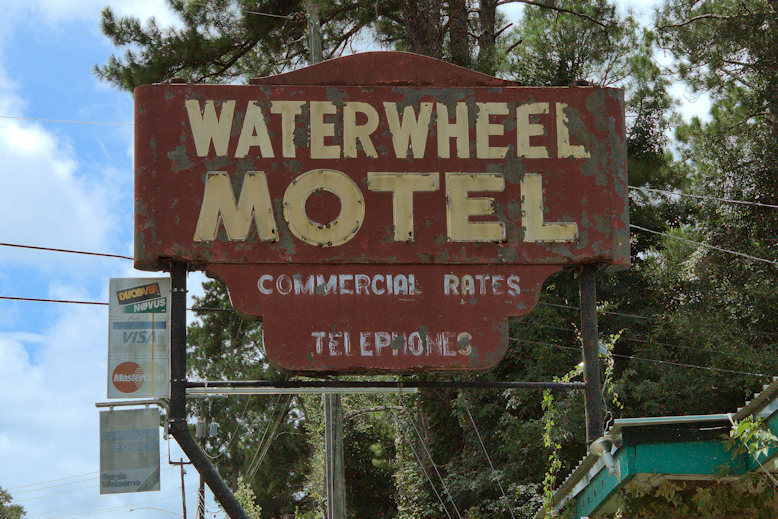 They operated the motel until 1982 and then it closed. Interstate 75 came through and businesses lost out to traffic there. Ritch McCutchen writes, via Facebook: I bought the farm from the estate of Palmer Greene who had a lengthy career as a politician. He was the tax collector here for many years followed by service as a state representative then as a state senator. He sold the motel site to Mr. Shearer. Mr Shearer’s estate sold it to William Johnson a retired rural postman. I first photographed this sign in 2008 and though I pass through the area a few times a year, I can’t recall if the sign is still standing. 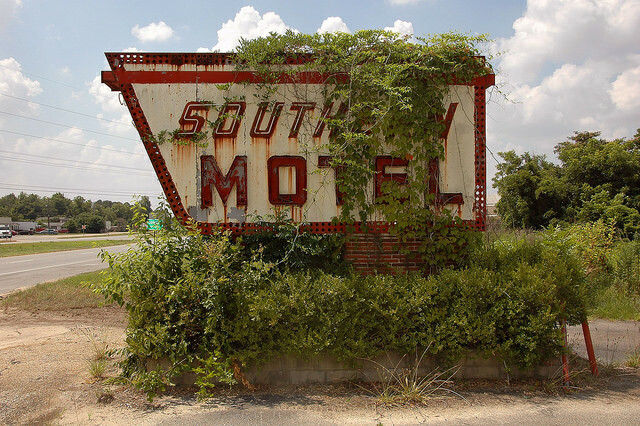 The Southern Motel was owned and managed by Mr. & Mrs. Jack Kirk. 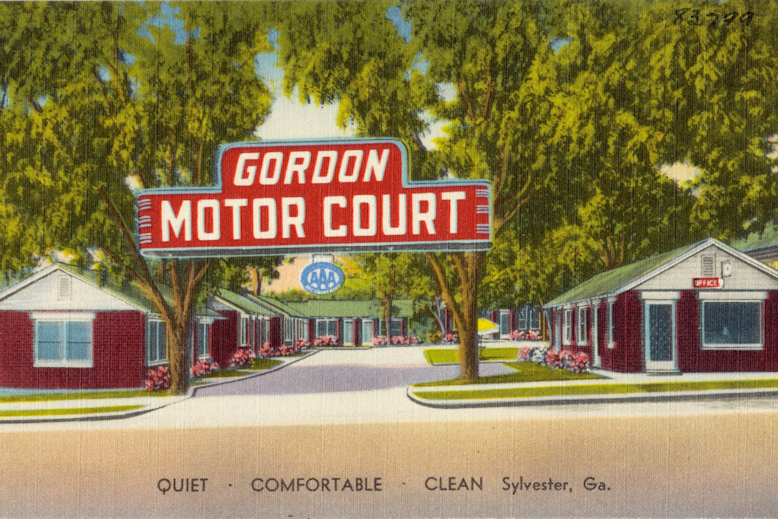 It was a modern brick motel which, judging from a 1961 postcard, was likely built in the mid to late 1950s, It’s hard to imagine that highways like U. S. 41 were the interstates before we had interstates. I’m aware that many people consider these sorts of properties and old signage nothing more than eyesores. There are others who absolutely love them. I don’t think many of them will be saved, but they’re a nice reminder of the world before interstates.